I am still trekking around the world with what my husband refers to as my "Little Boxes Roadshow". A few days ago I closed Web Summer Camp in Rovinj with a keynote talk entitled "Knowing it all". Thinking about how there seems to be a never-ending stream of stuff we need to learn, how do we deal with that? The slides are here. Yesterday I gave a fairly technical layout talk at the Google Developer Experts Summit in Krakow. Slides and resources for that talk are here. Next stop for me is NordicJS, where I'll be giving a new layout talk on Friday this week. It's all go! Say hello if you see me, I usually look like I'm on a mission but can be diverted by friendly chatter! Thanks once again to An Event Apart for sponsoring this week! Check out their ad in the footer for a discount code, I'd love to see you at an upcoming An Event Apart. Greg Whitworth on Twitter letting us know that the release date for the release of Edge with CSS Grid, position: stick, object-fit, object-position and more, will be October 17th. Looking forward to that! A Flexbox and Grid tutorial, building up a complete layout. Discussion on how best to implement a "wrapper" or container for your content. I realise I mostly just do what I've always done, so it is interesting to think about the options. From Jen Simmons, a quick rundown of how to try CSS Grid if you haven't done so before. A fun tutorial which covers another use for CSS Custom Properties. Useful if, like me, you end up testing shiny new things in the latest builds of browsers. A nice experiment by Jules Forrest based on replicating a print layout. 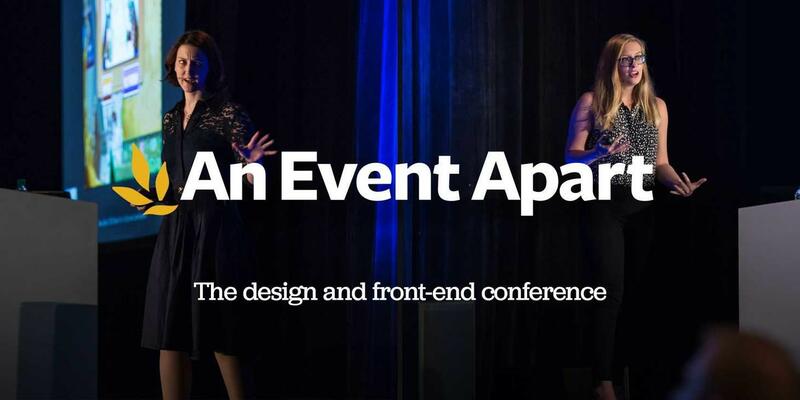 That’s what Julie Ovenell, Communications Director at the University of British Columbia, told us about An Event Apart, our 3-day design and front-end conference. “I learned more from this conference than any I’ve attended in the past,” added Tracey Halvorsen, President of Faststop. Whatever your job title, An Event Apart can help you do it better. So, come on. Set yourself Apart. And save $100 with code AEACSSLAYOUT.